The modest exterior of Vintage Chophouse and Tavern belies the sumptious experience that awaits behind it’s walls. Upon entering, the ill-effects of my windy walk from the C-Train were soon forgotten and my entire being was simultaenously soothed and titillated. I escaped the norms of reality and spent hours (approximately eight) enjoying wonderful cocktails and wine, live music, course after course of sumptious food and the company of good friends and intriguing new acquaintances. 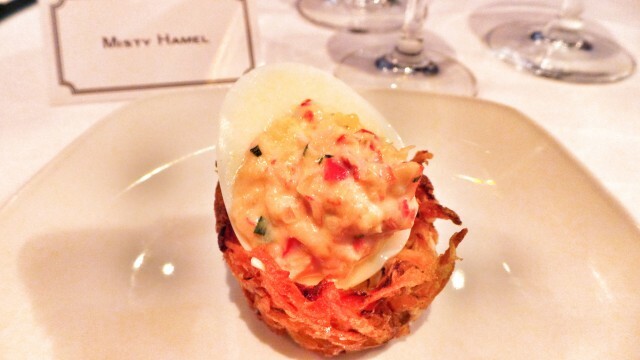 Amuse-bouche of Truffled Lobster Egg in a Rosti Nest. As I ate a delightful amuse-bouche of Truffled Lobster Egg in a Rosti Nest, Lance Hurtubise (President and CEO of Vintage Group) entertained us with stories of opening Vintage Chophouse in times when an new, upscale steakhouse should not have survived, let alone thrive, in Calgary. He hired a team based on gut instincts and they put together a solid menu and committed to bringing in the best beef to their kitchen and prepare it as it should be prepared. His method worked, to say the least. Beef Tartare with egg yolk and truffle. When you go to Vintage Chophouse, before you order your main course, I highly recommend a couple of appetizers. The Crab Cake is sweet and tender lump crab meat served with a classic béarnaise, it’s really done right. The Beef Tartare is served with an egg yolk, truffle, arugula and toast. 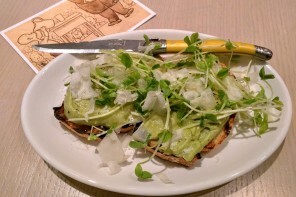 You mix it all together and spread it on the toast, making a suprisingly addictive mixture of flavour and texture. Keep the Crab Cake for yourself (You’ll want to fork-stab anyone who tries to get in on that action.) 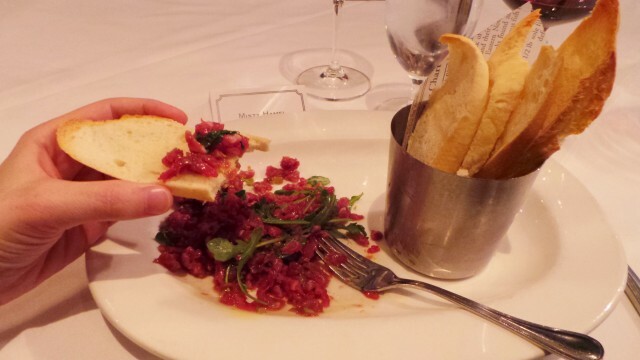 but the Beef Tartare is a large portion and you should definitely prepare to share. If you’ve never had Beef Tartare, this is the place to pop that cherry. In other words, you are in good hands and I’ll stop there before this gets out of hand. Only 1% of graded beef qualifies as Prime and Vintage Chophouse uses Canada Prime beef which is mostly from Alberta (over 93% of all cattle in Western Canada). The suppliers bring the wet-aged beef straight from Excel Meats in Brooks, AB. The Wagyu that they feature frequently is from a farm in Brant Lake, AB. 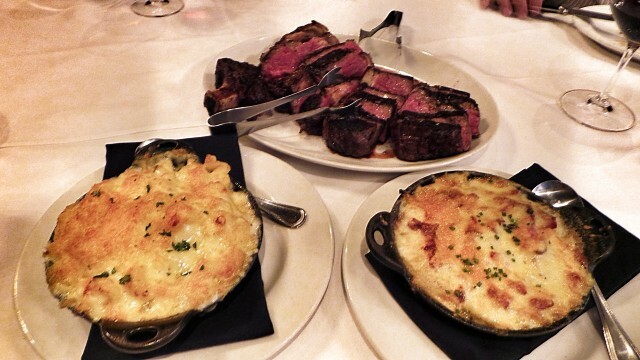 Steak and sides at Vintage–Classic and perfectly prepared…delicious! Each steak is served with Vintage Chophouse steak sauce and a side of your choice. The sides are plated separately which makes them easy to share. Some delicious sides that I tried were the Lobster Mac & Cheese, the Red and Gold Beets, the Sauteed Asparagus, the Roasted Mushrooms…are you drooling yet? Everything we were served was given rave reviews by the entire table. Check out the entire menu HERE. 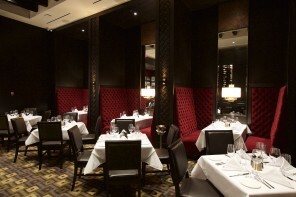 This is the spot to go in Calgary if you are looking for a New York style steakhouse, if you are looking for old school glamour and top-of-the-line steak, or if you are just looking to sate your appetite with luxurious fare. From a perfect beginning, a Four Roses Single Barrel Revolver in hand, to a perfect ending in the Tavern doing a final Tequila shot with Lance Hurtubis and friends, this was an epic and elegant evening. Thank you Vintage Chophouse and Tavern for EVERYTHING! 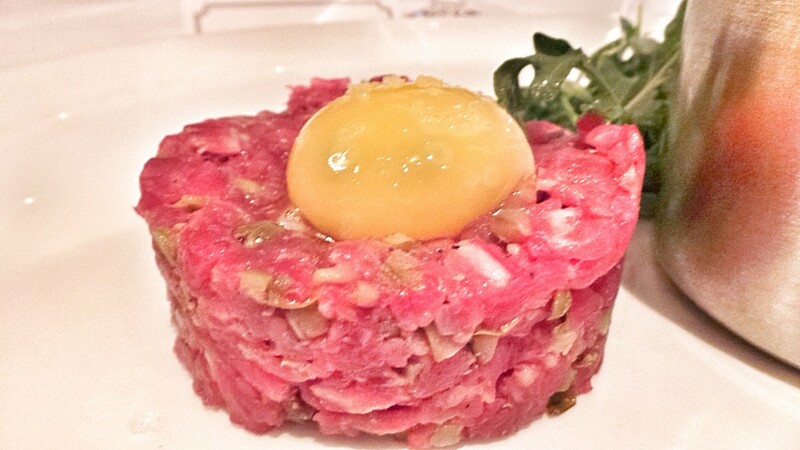 My mouth is watering looking at that beef tartare with the egg and truffle, that would be my first choice on the menu! I really need to visit Calgary soon! This looks amazing, Misty. My mouth is watering! Planning a trip to Calgary as soon as possible. Old school glamour and a good steak… I’m sold!